Have you ever thought, you could make money by referring people to flipkart or amazon? This way to make money online is called affiliate marketing. In this post I’m going to walk you through the steps to start affiliate marketing in India. To keep the video short & simple, we’ve covered just the basics there. All the steps shown in the video will be explained in detail in this article. A way to earn money by recommending products or services to other people. You will get a special link (called as an affiliate link) which allows the company to see who clicked your link. You promote your affiliate link on the internet. When someone buys the product, you will be paid a commission. There are hundreds of affiliate programs all over the internet for all types of products. But in India, the most popular affiliate programs are from Amazon and Flipkart. So in this article we’ll focus on promoting products from these sites. The best part about Amazon is, once someone has clicked your affiliate link you will earn commissions on any product bought by them in the next 24hrs. This means, you’ll be paid for not just the product you promote but for all products sold on amazon. For example: Let’s say, A person clicks on your affiliate link at 9 a.m.
Again at 8 p.m, he/she goes to amazon directly & buys a product. You’ll get the commission for the sale. This is because when someone clicks your affiliate link a ‘cookie’ gets placed in the user’s browser and all purchases he/she makes within the next 24hrs, will be credited to you. Follow the steps below to promote products from amazon and make sales. Visit this page on amazon and select a category which interests you the most. Since you’ll be writing on this topic later, make sure you choose a topic which you’re familiar with. The reason you need to choose one specific topic is because, it will make it easier for you to write for a specific audience. This is also called as selecting a ‘niche’. Also, before you finalize on your topic, go to this page to see the commission rates of products available on Amazon. To check the flipkart commission rates, click here. After you’ve selected your topic, it’s time to make your website. Even though there are other ways to promote your affiliate link, the most effective and future-proof way is with the help of your own website. If you want to learn how to make a website, watch our 5-min tutorial video below. 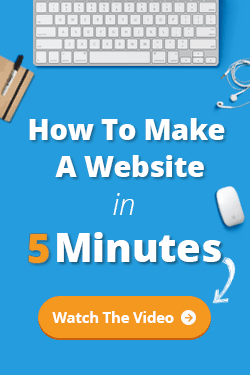 It’s easy and takes about 10-15 mins to launch your website online. Once you’ve created your website, you can sign up for the affiliate program. If you’re thinking about choosing between either flipkart or amazon affiliate program, go for the one which has the higher commissions for the product category you’ve chosen. If both has the same commission rate, go for amazon. Many affiliate marketers in India have said to have made more money in amazon than flipkart. During registration amazon will ask you to enter your website address and a few other details. Even if you haven’t added any content to your site yet, tell them how you plan to promote products on your site and they’ll approve it. If you already know the product you’re going to promote, then go ahead and search the product name in the search box provided. If you’re not sure yet, then it’s a good idea to take help from amazon and see which products are selling well. Go to the amazon bestsellers page. Select your category from the left side. You’ll see a list of the top selling products in that category. Pick a product which you like (preferably one with a lot of positive reviews). When you promote a product which is already selling well it is a lot easier to get people to buy it compared to promoting an unknown product. Based on the product you’ve chosen, decide on what article you want to write. “How to” articles & tutorials: These are the best as they add a lot of value to your readers. They also generate sales very easily if done correctly. For example, “How to get rid of pimples” article with links to products which has worked well for you. Review articles: You can write about products you’ve tried personally and help people decide whether to buy the product or not. Content Curation: This is where you collect & make a useful list products which are helpful to others. Offer or Discount articles where you share the best deals and coupons codes of products related to your topic. So, these are the types of content you can post to promote your affiliate link. Always make sure that your visitors get a benefit out of your site. When you’re signed into amazon associates, you’ll see a grey bar at the top of all product pages. Right click in the preview area and copy the link address (this is your affiliate link). Select link to custom URL & paste the link. Also check “open link in a new tab”. Click update & publish the article. Now, when you click the buy button displayed on the page, it’ll take the user to your affiliate link. This allows them to buy the product on amazon. How to check your earnings? You can check your earnings on the amazon associate page. When someone buys something using your affiliate link it will show up on your earning report page. So, this is how you can promote products using your affiliate link. All of these steps can be used on any ecommerce site of your choice. Eg: Flipkart, Snapdeal, Jabong, etc. I hope this post helps you kickstart your own affiliate marketing site. Once you figure out how to add value to your readers, it will be very easy to attract traffic and get sales. If you have any doubts or questions, share them in the comments below. Also leave a comment saying the topic you want to start your website on. It is nice to see your good ideas to earn money online. I will try it very soon.. Happy new year 2016. The article on affiliate marketing is very and great. I have also started one web site with a aim to promote products through affiliate. Your article is helping at this right time. With your advise, I apply it. In the mean time, please help me to up the link in my web site. I have already received link from Flipkart and amesan. I am a newbie. Super idea it’s great and valuable. Thanks for your easy way of teach. Yes, but I don’t recommend it. It would be a challenging task to build a website on a small screen. hii shyam, i have also created my website just 3 days ago as per your instructions, your articles helped me alot. Thank You. Please tell me , do amazon gives their affiliate link to new websites ? Yeah they do. I recently got approved a brand new site which didn’t have any blog posts. which site.. whats the name ? I am impressed with the earning you are getting from Amazon. A good advice on affiliate marketing indeed. I often find it difficult to find a high ticket product to join. Do you have any suggestion? I read your article. I understood this but I dont have any idea about any product.How will I gather any information about the product & also tell that how to write good content about product so that I can generate more and more traffic. Can I promote more than one product of same category in the single website? Yes, You can promote as much as products you can. i had create amazon account and can i promote without site. Hi Shyam, Great job on the tutorial… its of great help to the newbies like me. I have question though, can we use the same website for being affiliate to multiple partners like Flipkart, Amazon and Snapdeal etc.. Please share if you know about click bank affiliate program. I heard that we can promote the offers without website. I am anwer from Dhaka pls let me know more. Thanks for your article on creating website. I have created my own website using the same. Would be grateful if you can help me with how to get traffic to my website..
dear shyam, thanks for your tips. Tell me one thing, creating website as per your instruction is 100% free. Hi Shyam ur post is great but what abt traffic can u plz help me with this. this affliate website is a valid one to apply for adsense by google.how can i get money if the persons not purchasing any things. Thank you very much for your tip. I really like this guide when I first saw it on YouTube. It would be awesome if you can give us a list of the best sites that pay a high CPA. Dude this can possible on blogs..? thanks for the help for new thinking and new posiblities for me ………..
Can I use Blogger for making an affiliate site of amazon? Moreover, I already have a blog in blogger, and it gives me opportunity to create more blog, can I use that feature for this purpose? or Is it necessary to make it in wordpress? Simply nice and informative article. Thanks for giving us an insight about affiliate marketing. If I give anyone the link (provided by amazon when they approved my request to buy anything from amazon will I get any benifit ?? This link will redirect to the homepage of amazon.. Yes you will. A cookie will be placed on the visitor’s browser when opening your link. Went through your article and found it very helpful.Keep up the good work. Hello sir,please tell me how will I get the money in my hand by doing affiliate marketing. Hi, can i use this if i am in Australia? how to get contents or articles for blogs or websits? You can hire writers from upwork or iwriter. Yes you can, even simultaneously. How much money can be earned on an average via affiliate marketing? Hello shyam sir i am very impressed with this idea but how will i generate traffic in my website since it will be new? I have bought Domain & Hosting from Go daddy, now i have to develop my website to start the affliate. please assist what i have to do further. Hey Shyam, I want to ask you a question that what will happen if I buy any product on amazon by my affiliate link?? Will it have any negative effect like they may block my affiliate account or anything else or will I get a commission on that too?? Yes! It will have a negative effect on your account and chances are you’ll get a warning first. But if you continue doing the same then Amazon will block your account. Good evening, most knowledgeble, and more doubt for me, can i do the internationalaffiliate marketing ? Yes. You can do it! good evening, great support for me, and also knowledge information. if you are in a serious mood to earn money online then a website is mandatory.You should be buying a domain name and hosting for your website.And don’t get panic if you don’t know how to create a website then follow this blog you will learn it very soon and all the best @! Which book is gud for learning web page and blogs designing . hi, It is a good video and article. I appreciate your efforts and guidance. Thank You. I like it very much !It is bless for all. Hi ! Shyam please tell me if we can have this affliate link in whats app. The clarity in your put up is just excellent and that i could suppose you’re knowledgeable on this subject. Thank you for explaining it so fastly and easily. that’s really fine, keep uup writing. Thank for this valuable tips. It was great article. Finally, a website without scams and that really gets to business.Really helpful and the best one so far.Loved the way how you have put in the contents it’s really precise and crisp.Keep going!Good job again. I am looking to start working in Affiliate marketings. Now i am only doing Adsense. Your videos are nice expect more videos. Hi Shyam, can you please tell or show how to create and publish a free website in WordPress or Wix. Can you please tell me? hi shyam …this video is very useful to me.i want know that can i take only one product for amazon.you show on video that you take shoes brand .can i choose double or triple brands like shoes and mobiles and etc..
How will people know about my website or how people can search? Great tips by bro Shyam Sundar and Subhang Mishra. Thanks for providing proper guidance to the people. Can I promote the affiliate link on Facebook or any other way ? Dear Shyam, I have watched your youtube video also about this topic. But, you have told to concentrate on a specific amazon product for sale upon which the name of the website is to be kept.But,on your earning list,you have sold multiple products of multiple types..What your affiliate site is about?,Is it prmoting all the amazon products at a time.Pls also suggest best WP free theme for affiliate site.Pls suggest traffic increasing techniques also. . Very good information. let me know to create website/blog how much it will cost. You can promote both on the same site. very useful information! thanks shyam sundar ! I must say that you have helped me a lot by publishing this awesome article….I am a newbie in affiliate…my website is still under development…thanks for sharing such a valuable content. very nice and useful information shyam sundar ! thanks a lot ! Hi Bro it’s really awesome, must say that you have helped me a lot by publishing this business article….I am a newbie in affiliate…my website is still under development…thanks for sharing such a valuable content,thanks a lot. Shyam Bhai you have done a great job by spreading the knowledge about “affiliate marketing” and “how to create a website” by the videos you shared on YouTube. Do I need to create specific websites for different or each category of products I am thinking to choose and promote? Not necessary. You can promote them on the same website. Thanks for this video. It really helps me. Affiliate marketing is indeed very helpful and In My Opinion affiliate marketing is an appropriate choice to monetize your blog or website. But you do require to have talent to sell other’s product through sites. So, if you have the email list of some peckish people, you can make healthy amount of money from affiliate marketing. I am also writing about affiliate marketing on my new blog. But you helped me a lot. Because after reading your post I gained extra knowledge. Affiliate marketing is one of the best way to make money online. I am working on Amazon affiliate website. I am writing reviews of the product and I got few sales also. This article helps to improve. thanks to share this affiliated information. i really impressed …. Very good information I got. You created new hopes that has possibilities. lovely information. I am scared to start, hope not to loose any money. but very much inclined to start this. Hi, this article found very helpful to me and i didn’t found any advertisement on your website then what is the source of your earning..??? You guys did an awesome job! It is an easy to follow tutorial.Honestly, I’m impressed! Keep it up! Nice article and crystal clear info. Mr.Shyam thank you so much for your guidance. I learn so much from your 7 day tips and youtube tutorials. but,How to get traffic on our website? Please tell us effective way to bring traffic on our websites. I feel bad sometimes because when i see my Google Analytics there are no views and clicks on my content. I have enjoyed reading the tips here and I have learned something new from hence. You keep amazing me with your content design and layout. Awesome and easy to understand post. Great write up and Thanks for sharing these tips. I have read it fully. Thanks a lot. I have one question- how to add no-follow on blogger content? I like the selection of your affiliate niche to present Indian affiliate sites, you have chosen the most popular topic. It will help a lot for new affiliate marketers to get better understand. Keep it up.